Cannot open/save excel(.xls) reports from Cognos Connection. In cognos connection you can open, run and save reports in various formats including HTML, PDF and Excel. If you messed up with various options and the save/close/cancel options for saving in XLS does not work for you, then you will be having no option than close the connection and reopen. Some times even restarting the cognos connection may not work for you. Cannot open/save excel reports from within Cognos Connection. The popup prompt to Open, Save, Cancel does not appear or flashes on the screen briefly. 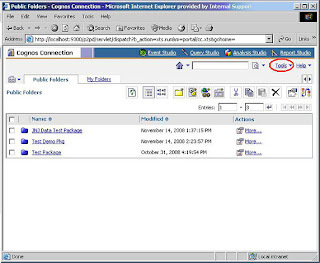 The prompt to open or save the report does not appear due to a setting blocking this in Internet Explorer. Enable automatic prompting for file downloads. 3.Click on the 'Security' tab. 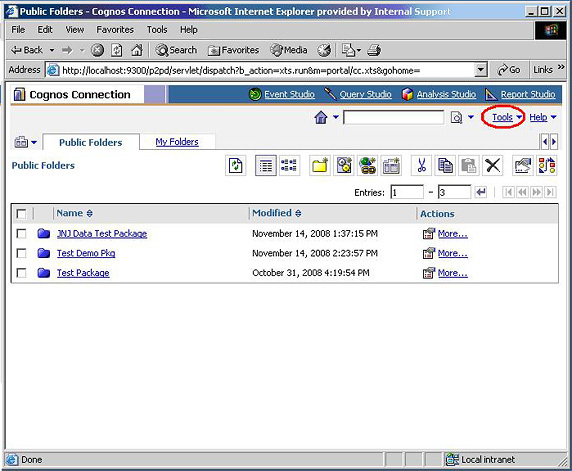 6.Ensure that 'Automatic prompting for file downloads' and 'File download' are enabled. 8.Repeat steps for 'Intranet' and 'Trusted Sites'.